The Tata Harrier will get a manual gearbox. 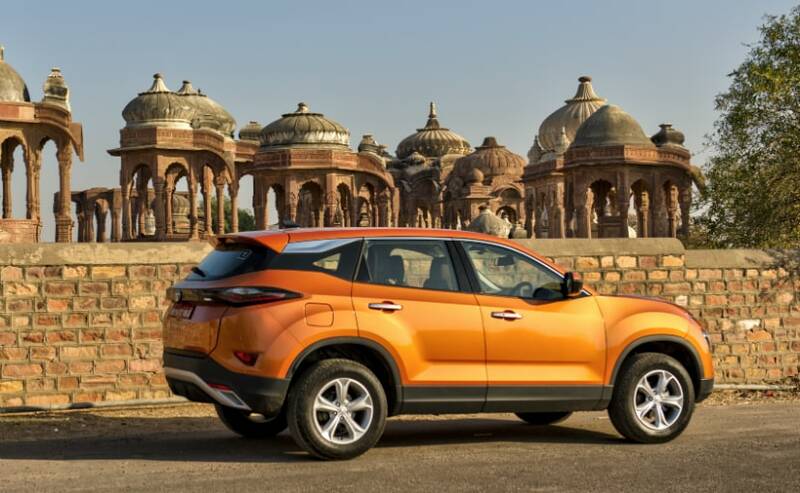 The Tata Harrier will be one of the biggest launches of 2019 and is possibly the most anticipated product from Tata Motors in recent years. So lets have a look at that engine under the hood. 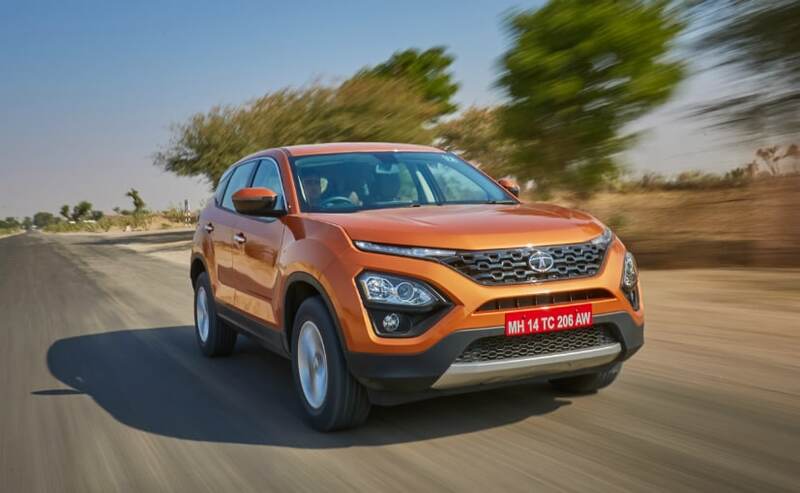 The Tata Harrier has a 2-litre 4-cylinder turbocharged diesel motor, that Tata motors calls Kryotec and is essentially the downtuned version of what is available in the Jeep Compass. The engine makes 138 bhp of peak power and 350 Nm of peak torque. The engine is mated to a 6-speed manual gearbox. The Tata Harrier also gets three driving modes, Eco, City and Sport. As of now, there is no all-wheel-drive option and no automatic gearbox either. And now lets take a quick look at some of the more general specs on the new SUV. Lets start with the overall dimensions. The Tata Harrier comes in at 4598 mm in terms of length, 1894 mm in terms of width and 1706 mm in terms of height. Wheelbase on the new Harrier is 2741 mm while the ground clearance on the SUV comes in at 205 mm. The Harrier also comes with 235 section tyres mounted either on 16 inch steel wheels or 17 inch 5-spoke alloy wheels. In terms of safety features, all variants of the Tata Harrier comes with at least 2 airbags, with the top spec variant - XZ getting 6 airbags. 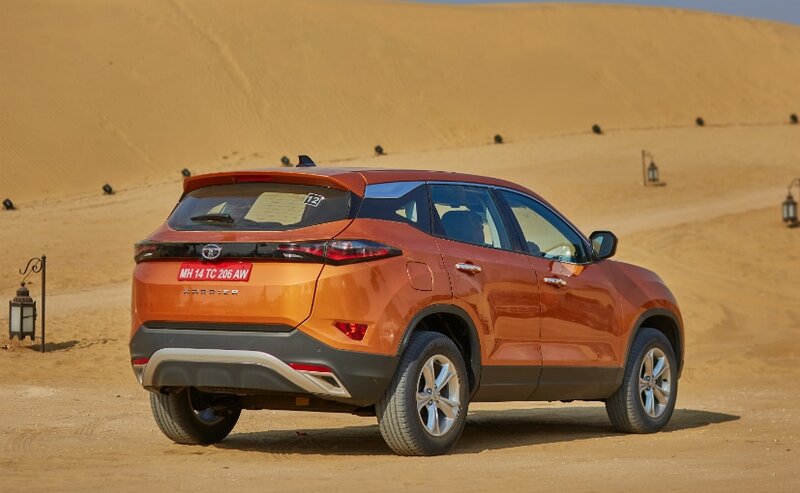 The new car is also based on the Omega Arc platform that has been derived from Land Rover and features safety systems like traction control, cornering stability control, electronic stability program, roll over mitigation and hill decent control. Stay tuned for our detailed review of the new Tata Harrier, which will be on our youtube channel and on carandbike.com on December 7th, 2018.